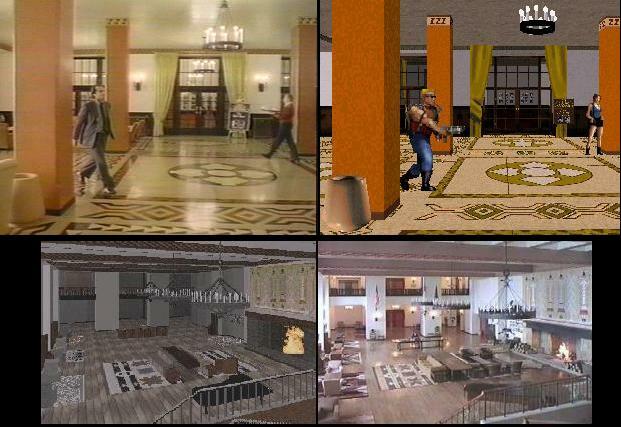 A highly detailed 3-D recreation of the Overlook Hotel. You play the part of Duke Nukem, U.S. Marines Special Operative, sent in to take care of the "Caretaker." "Duke Nukem 3D - Atomic Edition"
This game was released in 1996 by 3D Realms. It is still available from their website. I have no affiliation with 3D Realms at all, and this is not some sort of advertisement for their game. 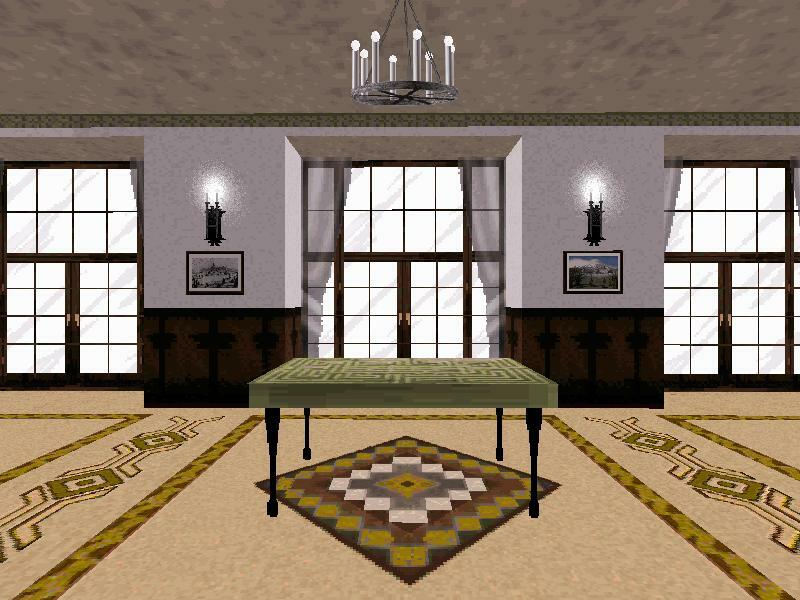 I'm just a guy who used their game to create my own 3D model of the Overlook Hotel as it appeared in Stanley Kubrick's magnificent movie The Shining. Once inside the hotel, you battle an evil reincarnation of Jack Torrance as you attempt to find the keys to unlock the door to room 237, the caretaker's apartment, and eventually a way out. "Redrum: The Shining II" is based on a short story by Jeroan van Aichen. fans, all over the world, of Kubrick and his movies. This is a complete web site of its own created primarily by my friend Mark Oates. It tells you everything you need to know about running the game. I added some maps to it as well. Everything you need to know about "Redrum: The Shining II" is here. This is a web page I wrote as a means of archiving the otherwise useless information floating around in my brain as a result of the research I did into the Overlook Hotel. If you ever wondered where the real hotel is located, have a look here. When "Redrum: The Shining II" was finished, I began working on the next generation 3D model of the Overlook. Check out the incredibly slow progress here.